Johannesburg - The South African Football Association (SAFA) has learnt with shock and disbelief of the sudden passing of former Bafana Bafana and Free State Stars forward, Richard Henyekane. The 31-year-old player died in a car accident in the early hours of Tuesday morning (April 7) when he was involved in a tragic car accident. He was with four other people in the vehicle. SAFA would like to convey their heartfelt and deepest condolences to the family, friends, team-mates and supporters of Henyekane. His death comes just five months after the passing away of his brother Joseph Henyekane, himself a professional former footballer. “Another soldier has fallen. Richard’s death comes at a time when we were not really done grieving the passing away of his brother Joseph. SAFA would like to send out our deepest sympathies to the Henyekane family for their heartbreaking loss. 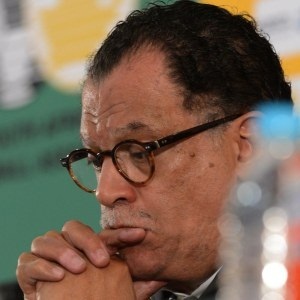 We can never know how much pain you are in but just know that you are in our prayers and we ask that the Almighty grant you strength in these trying times,” said SAFA President, Dr Danny Jordaan who is in Cairo, Egypt attending a CAF Congress. “Sadly, Richard’s death comes at a time we are still trying to come to terms with the death of another prominent figure, Minister Collins Chabane in another car accident; this is devastating. The "Kimberly Express", as he was fondly known, played his last match for Free State Stars on Saturday, April 4, where they lost 1-0 to AmaZulu at Moses Mabhida Stadium, after coming on as a substitute. His scored his last goal in a 1-1 draw against Orlando Pirates at Charles Mopeli Stadium last year in May. In the 2008/09 season, he won the Absa Premiership Top Goalscorer Award with 19 goals. He made nine appearances for Bafana Bafana and was once on the books of Mamelodi Sundowns and Lamontville Golden Arrows.